Dog's love the beach (and the water! 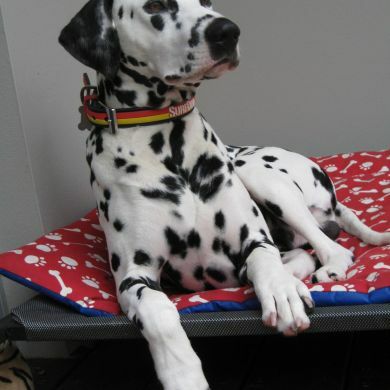 ), but they don't like wearing soggy, stinky collars all day after leaping through the surf. 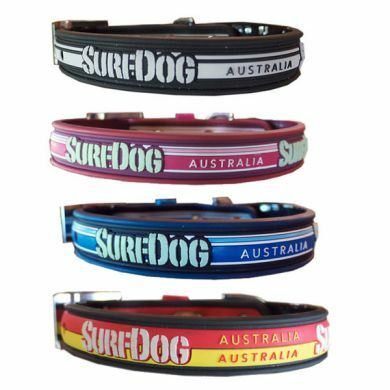 Surf Dog Australia's moulded rubber dog collars are completely waterproof so there's nothing to get soggy, smelly or itchy. Our Australian climate is beautiful, but salt, sand and strong sunlight make short work of most dog collar materials. 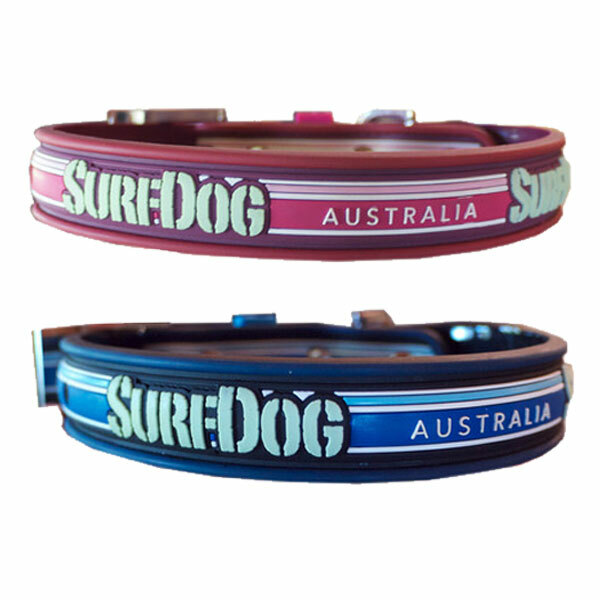 The Surf Dog collar has a natural anti-bacterial action and is designed to withstand the rigours of the beach. 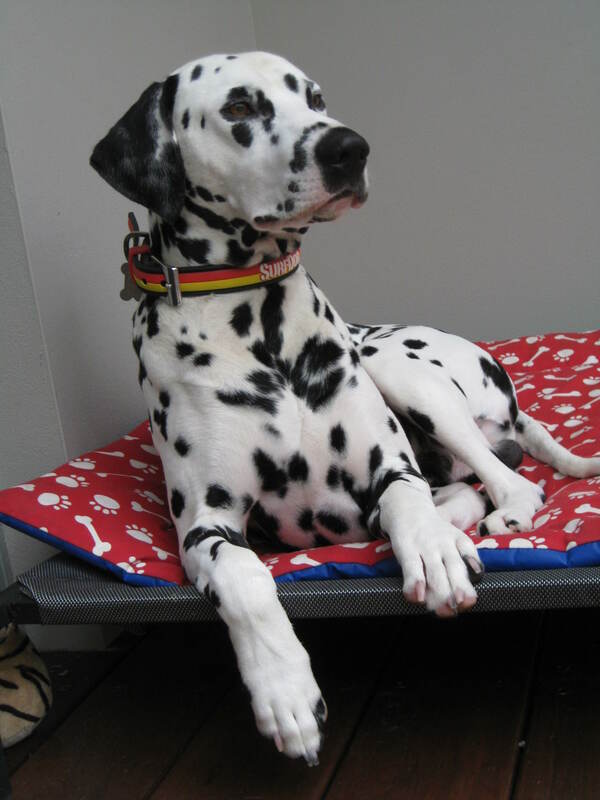 These fun and funky collars are purposely chunky to get the necessary strength, but soften up and mould to your dog's neck with wear. 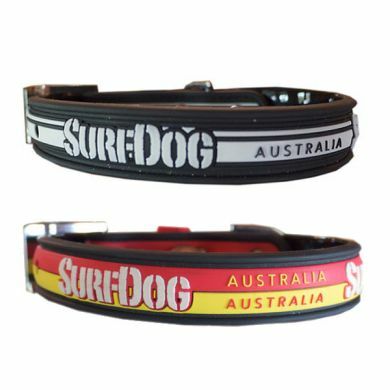 Surf Dog Australia's Stay Dry Dog Collars come in 4 sizes: Small (24-34cm) with a 2cm width, Medium (35-42cm) and Large (43-52cm) with a 2.5cm width, and Large Wide (43-52cm) with a 3cm width. Read 4 customer reviews of Surf Dog Australia Stay Dry Dog Collar. The average customer rating is 5. 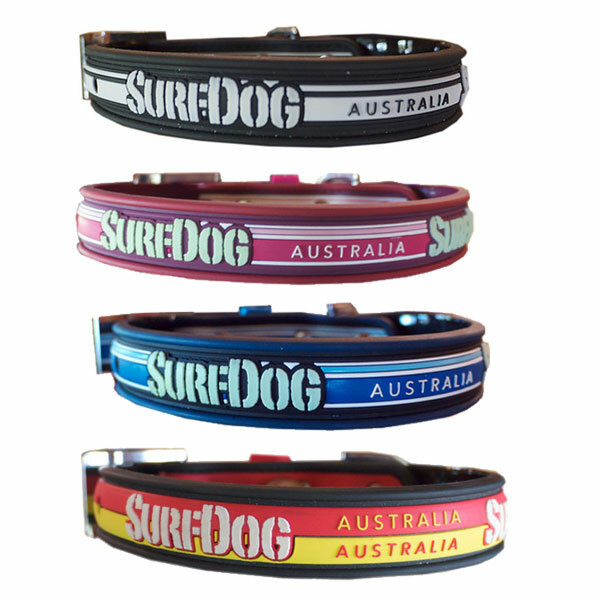 Harry my dog just loves his new SurfDog collar, Harry is a big American Bulldog weighing 51kgs and he needs a hefty collar, this SurfDog, staydry Australian collar is just the thing for Harrys neck and he's easy to spot in the great Red and Yellow colour, if you've got a big dog buy one of these Australian SurfDog Stay Dry Collars. 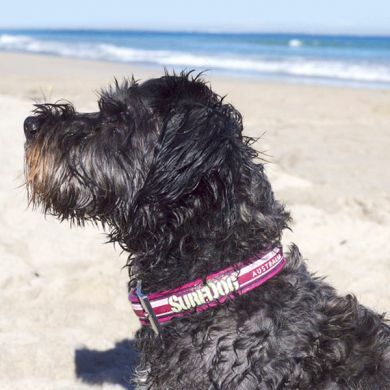 This collar is very good at the beach, however I found it to be quite chunky and big on my dog's neck. I love it!! I have a very water friendly dog and it's the first that hasn't stretched or rubbed her when wet. I use it at the beach, in a pool and she swims in a Dam I have in my horse paddock. I can't wait to get her a brighter colour. 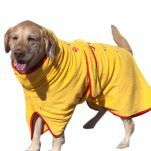 I love the whole surf dog idea! !